Giordano’s menu prices at the click of a mouse. Giordano’s is famous for introducing pizza lovers to stuffed pizza. The idea for the stuffed pizza originated from a family recipe for an “Italian Easter Pie”. A double-crusted pie stuffed with cheese and topped with seasoned tomato sauce. The Giordano’s menu has been regularly updated to include additional fan favorites. Guests can expect to find classics like thin crust pizza, pasta dishes, sandwiches, salads, and desserts. Below are the latest Giordano’s menu prices. Giordano’s catering is the perfect solution for a catered event. Giordano’s offers several menu options to ensure guests leave happy. Whether a business meeting, family gathering, or holiday celebration, consider Giordano’s catering. Menu and delivery options vary by location. Contact the nearest location to get more details. Fans of Giordano’s can sign-up to be part of their G-Club newsletter. Members receive regular emails that provide the latest news and happenings at Giordano’s plus include special offers. Sign-up is completed online at Giordano’s website. The first Giordano’s Pizzeria was opened in 1974 in Chicago by two brothers that were originally from a small town in northern Italy. The brothers developed the stuffed pizza concept from their mother’s original Easter pie. 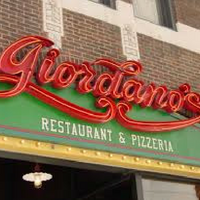 Ownership changed in 1988 when John Apostolou and his wife acquired Giordano’s. In 2011, a group of private equity firms acquired Giordano’s. Today, Giordano’s is a privately held company with 30 locations and headquartered in Chicago, IL. For more information about Giordano’s, visit their official website. Can Giordano’s ship their famous stuffed pizza? For those former Chicago/Illinois residents that crave the famous Giordano’s stuffed pizza, now you can order the pizza online and have it shipped to most locations in the US. Deep dish fanatics should check Giordano’s website for additional information. Does Giordano’s offer delivery or carry-out service? Giordano’s does offer delivery & carry-out service. Services vary by location so customers are encouraged to check with their nearest location.